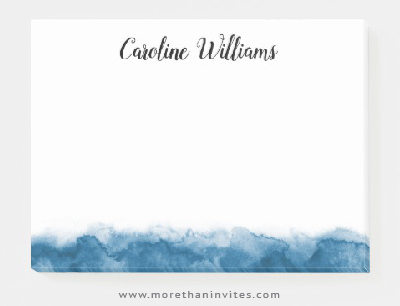 Post-it® notes / sticky notes featuring a blue watercolor border along the bottom. Customizable name. A stylish and elegant design for women. Available from Zazzle.